Not available online. Please call. As one of the very few audio specialists in the world to design AV receivers, Arcam has developed a reputation for balancing a finely honed technical specification with world class audio performance. The Arcam AVR 550 is, quite simply, one of the highest performing AV receiver Arcam has ever made. 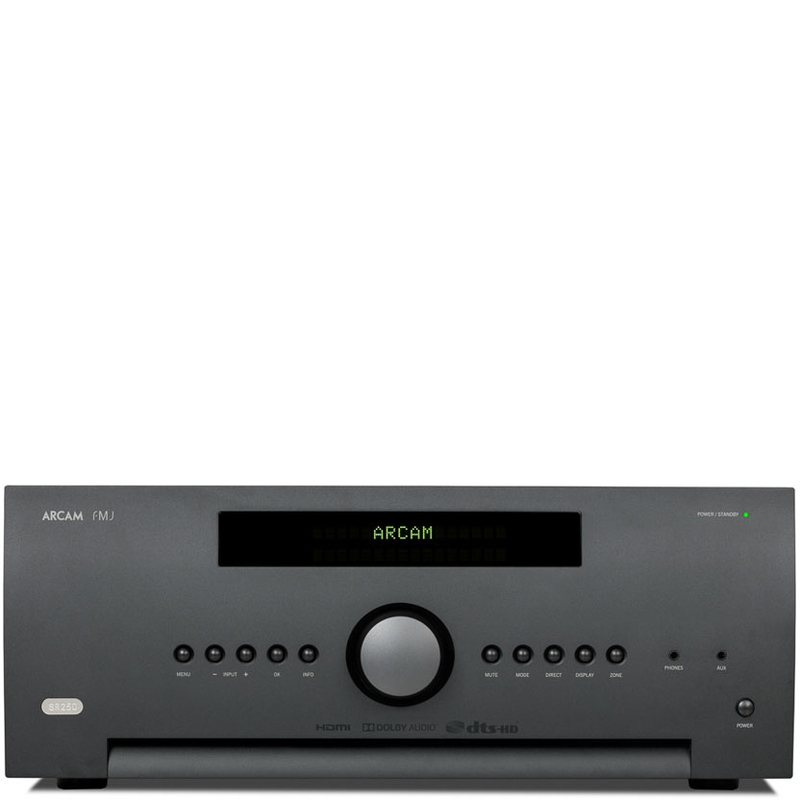 The Arcam AVR 550 offers a level of sound quality that is far above competing receivers, this AVR is an audiophile product by any measure. Equally at home with high resolution surround sound or two-channel music, the Arcam AVR 550 will deliver stunning realism with everything from heavyweight blockbusters to your favourite concert video. Further enhancing the performance of the new Arcam AVR 550, Arcam has also included the very latest room correcting technology from Dirac Research. 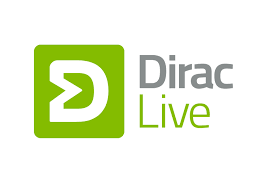 Dirac Live® for Arcam gives the dealer who’s installing the Arcam AVR550 the ability to tune the acoustic performance of the system to any room situation giving the listener the best possible experience in their own home. 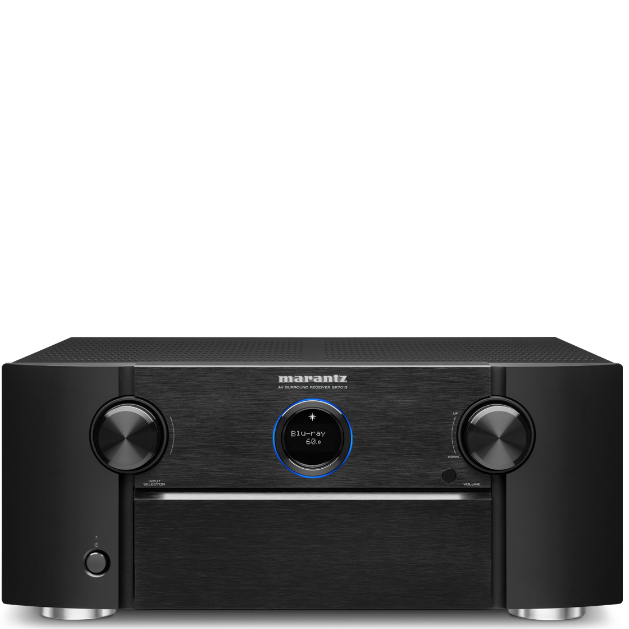 Together with Arcam’s legendary amplifier technology, the Arcam AVR550 has Dolby Atmos which delivers captivating sound that places and moves audio anywhere in the room, including overhead, to bring entertainment alive all around the audience. Whether you are listening to music, movies, television shows or playing your favourite video games, Dolby Atmos delivers the full impact of the entertainment experience. Note: for a 7.1.4 system, an additional 4-channel amplifier (or two 2-channel power amplifiers) is required. Both video and audio stages are designed to embrace both current and upcoming technologies. HDMI2.0a with HDCP2.2 4K “Ultra HD” and 3D video capability are built in. An internal tuner provides a fully integrated FM / DAB / DAB+ (in appropriate markets) radio solution. Worldwide access to internet radio stations is provided through the network connection, which also interfaces to UPnP audio servers. The USB port supports memory devices. Control is possible via Ethernet, enabling it to be fully integrated with whole house control systems, or via the iOS MusicLife UPnP/control app. RS232, 12V triggers and standard IR control are also included. 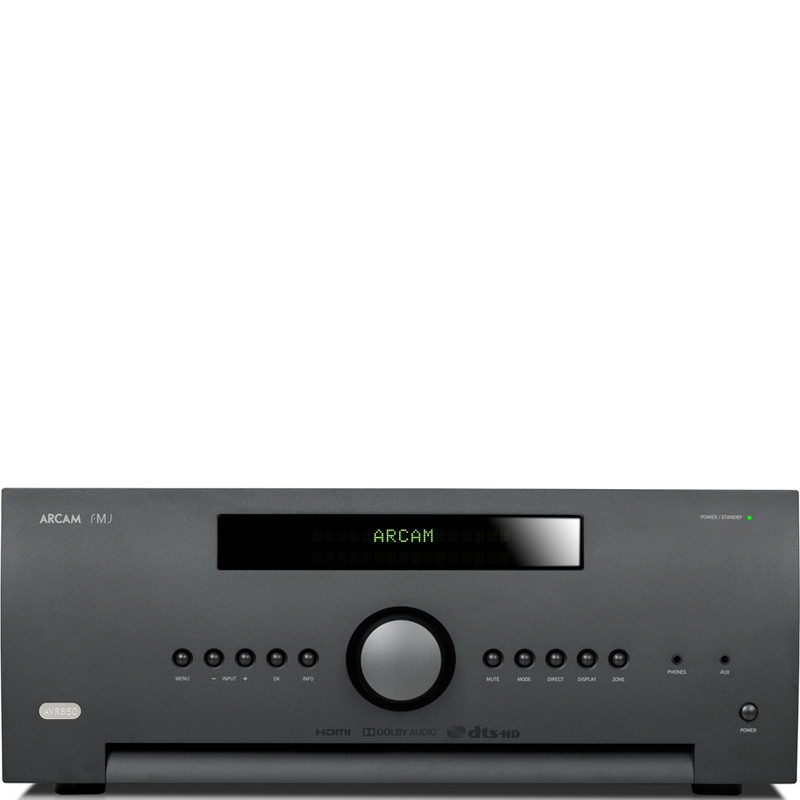 The Arcam AVR 550 is designed in the UK.